On 12 November 1933, even with the Nazi party as the sole political party contesting in a German parliamentary election seeking to endorse Hitler’s plan to remilitarise the Rhineland, 43,007,577 ballots were cast, of which 39,655,288, or 92.2 per cent, endorsed the list and 3,352,289, or 7.8 per cent were defective. Hitler reacted badly and a directive by the Ministry of Propaganda to no longer keep track of spoiled ballots was issued. Joseph Stalin used elections as part of his Great Purge of potential communist competitors. More than 70 percent of factory committee members were replaced, 66 percent of the 94,000 factory committee chairmen, and 92 percent of the 30,723 members of the regional committee plenums. The DAP conducted a party election that was rigged, blamed Microsoft Excel for the election woes, then blames everyone else but themselves over the party’s registration which is now in limbo as the Registrar of Societies is soon to decide on the fate of the party. But this is not new. Even the Melaka DAP fiasco was blamed on UMNO. In an attempt to hoodwink party members as well as the public, Emperor Lim Kit Siang offered to resign to “save the party from deregistration.” It is just a ploy to divert attention from his and his son’s struggle to maintain their hold on the DAP. 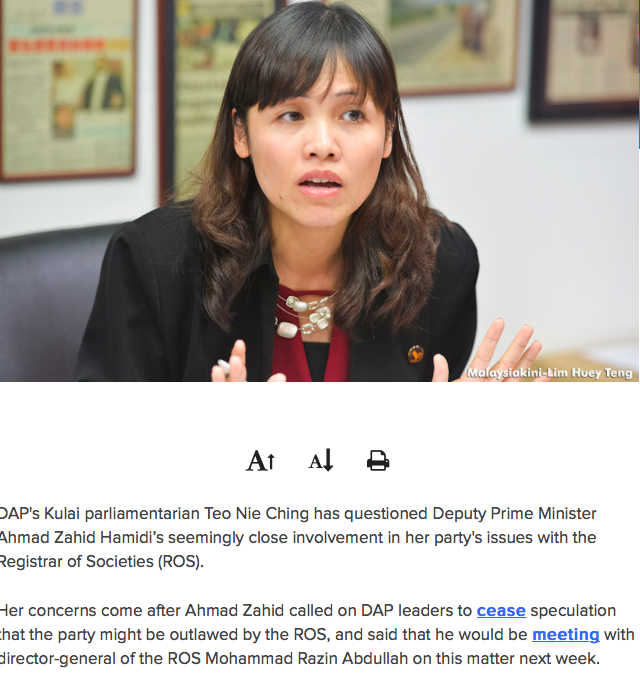 A servant of the Lims who was planted in Johor, Teo Nie Cheng, even questioned the need for the ROS to meet up with Ahmad Zahid Hamidi before deciding on the fate of the DAP. She knows very well that Zahid is not just a Deputy Prime Minister but also the Home Affairs Minister thus making the ROS reportable to him. But in order to paint a negative picture and show that the ROS is an effete agency in case things go bad for the DAP, she purposely links the ROS to Zahid who can later be blamed for the DAP’s own arrogance. The DAP fiaso began with the December 2012 DAP party elections, where the numbers show that the Emperor only received 62.4 percent of total votes, while his son the Tokong received 1,576 votes out of 2,576, or only 61.2 percent of total votes. In short, 1,000 delegates did not vote for Tokong. Before the 2012 party elections the DAP had 31 Central Executive Committee members of which three were Indians, two Sikhs and two Malays. During this election, all SEVEN Malay candidates lost. I wrote SEVEN because although the media quoted EIGHT, Zairil Khir Johari IS NOT Malay. His name is not Zairil bin Khir Johari, but Zairil Khir Johari bin Ablululah. Zairil, or Christopher Ross Lim as his name was before Khir Johari married his mother in 1996 when he was seven or eight, only managed to secure 305 votes. “When we say ‘Malaysian Malaysia,’ we must represent all religions, all races…balance. The message I conveyed did not reached the grassroots. They are still choosing leaders based on race,” he told Bernama. He said that the election was also not based on ability and experience of the candidates in fighting for the party. However, 19 days after the party elections the DAP announced that there had been a technical error in the vote tabulation and declared defeated candidate Zairil Khir Johari Abdullah as a duly elected member of the CEC. 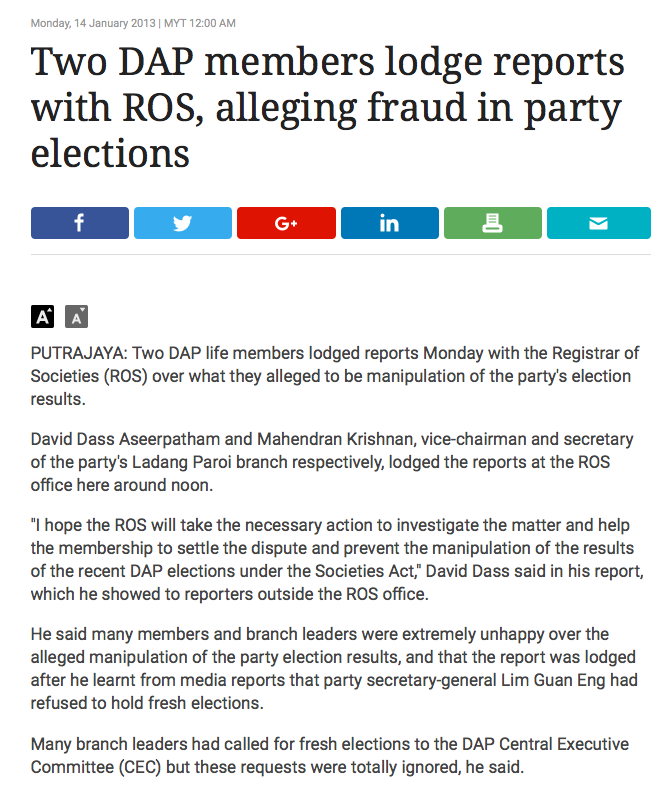 This prompted two DAP life-members, David Dass Aseerpatham and Mahendran Krishnan, vice-chairman and secretary of the party’s Ladang Paroi branch respectively, to lodge a report against the DAP at the ROS. “This is a clear case of election manipulation, and it is also against the democratic process and the party’s slogan of competency, accountability and transparency (CAT),” David Dass said. Calls for a fresh CEC election made by members have gone totally ignored. Members in Pulau Pinang and Seremban protested. 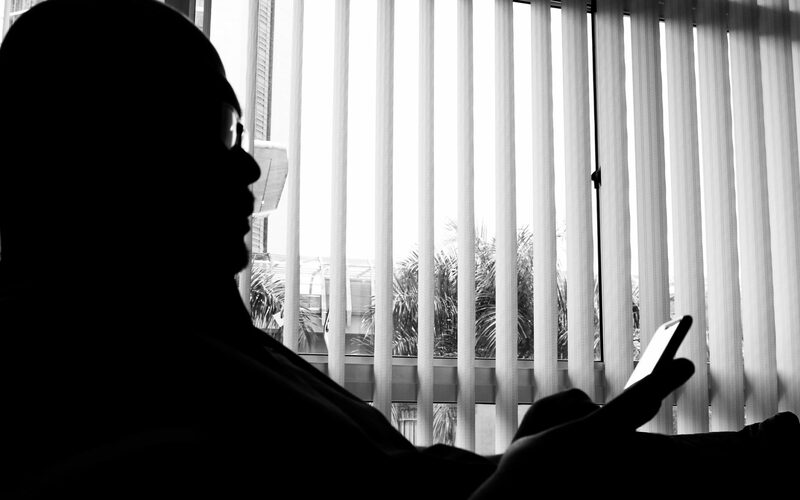 The ROS promptly launched an investigation into the allegations made and asked the DAP for its annual report to be submitted by 14 February 2013. In April 2013, a month before the 13th General Elections, the DAP threatened the ROS and asked the latter to withdraw from investigating the DAP. The ROS had asked DAP to present proof of its claim of mistake during vote counting at the Central Executive Committee (CEC) elections. The Director-General, Datuk Abdul Rahman Othman said this was to determine whether it was due to a computer glitch or cheating. “We are still investigating and one of the major issue is the votes received by candidates in the party elections,” Rahman said in a statement. Furthermore, the ROS stated in May 2013 that it had found 753 DAP members who were eligible to attend its national congress on 15 December 2012, did not receive notice. 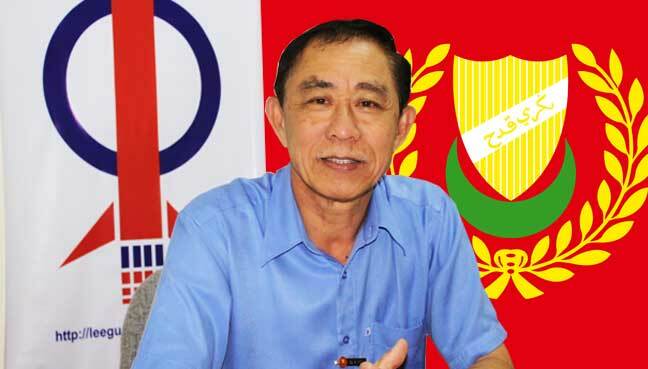 “DAP members who did not receive the notice were denied the right to vote and choose the leaders they wanted at the congress,” he said in a statement which also said the ROS would continue investigations on other issues raised by complainants, and go through all documents submitted before arriving at a decision on the validity of the congress based on the Societies Act 1966. There were other illegal things that the DAP had done since then including removing the Kedah State DAP Committee headed by Lee Guan Aik in May 2013 and replacing them with members of the Lim’s choice including Zairil Ross Lim as the State’s committee interim Chairman. 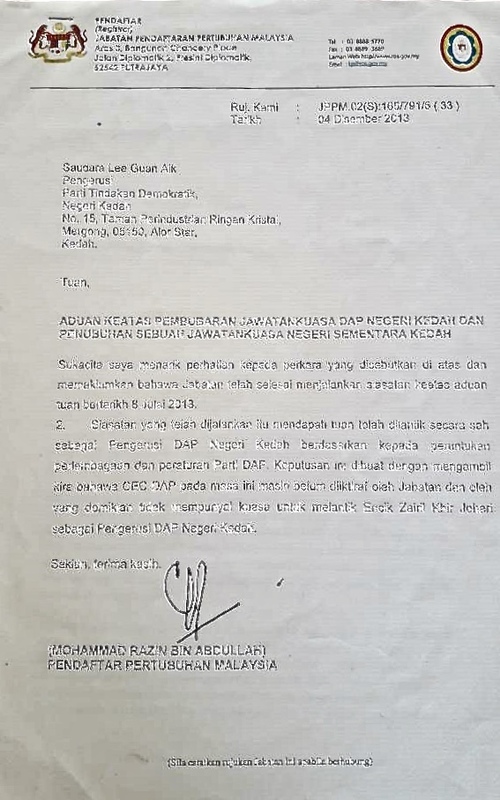 This prompted Lee to also lodge a report with the ROS in July 2013 which in turn issued Lee an official letter in December that year duly recognising him as the Kedah DAP chairman. This certainly does sound like how Joseph Stalin ran the Soviet Union’s Communist Party. Pulau Pinang’s Joseph Lim Guan Eng has also been running Pulau Pinang like a dictator. Just ask Ang Kean Seang and Teh Yee Cheu. It was not the first time that the DAP under the Emperor Lim Kit Siang had removed people not aligned with his dynastic rule. In the 1990s the Emperor removed the likes of Goh Hock Guan who was the Selangor State DAP Chairman. Others who were expelled included Dr Soarian, Chan Teck Chan, Seow Hun Khin, Chin Nyuk Soo and Goh Lin Eam. Lee Lam Thye was made the Deputy Secretary-General but without power nor authority. Under Kit Siang’s orders, Lam Thye was not allowed to give views nor comments of any dissatisfaction. 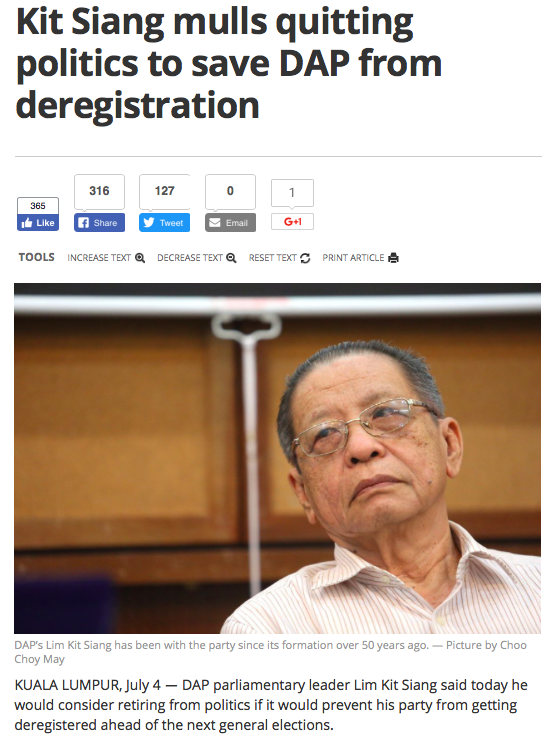 But he had an impeccable record of service to his constituency, and this threatened Kit Siang’s position. After Lam Thye’s resignation, Lim Kit Siang issued a gag-order on the DAP ordering all party members to ‘shut-up’, avoiding giving any statement, view or statement through the media. This is how the DAP under the Lims and their cohorts is being run now – as a society it is a dynastic triad; given the power to govern it would be just like Hitler’s Nazi party since it now shows how it equals to Joseph Stalin. DAP’s only hope is now in Tan Seng Giaw, virtually the only politician who opposes constructively and professionally. Hopefully sane party members will see this. But as long as the computer used to count party ballots is operated by someone appointed by the Lims, DAP will continue to be a party which blood is sucked dry by the Lims and their henchmen, and will die of asphyxiation.